This story was originally published in full at Krochet Kids Intl. on February 3, 2016. Every Krochet Kids product has a very unique and special journey before it arrives packaged neatly on your doorstep. One of our most-loved products, “the Becks” has been a favorite among supporters since we first introduced it in Spring 2013. From raw materials to finished product, we want to show you how this beanie is created and how these products positively impact those in our program. 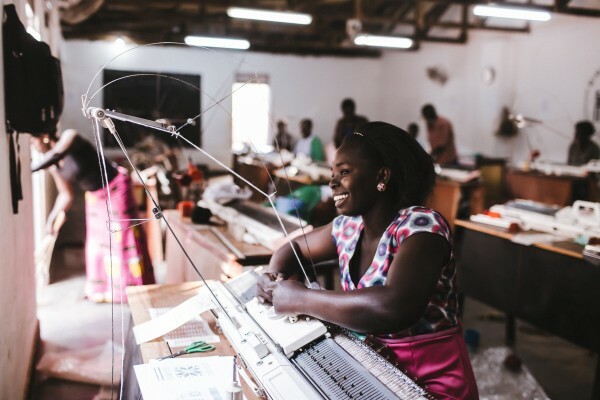 Meet Lamwaka Harriet: Before joining KK Uganda, she struggled to make ends meet by knitting sweaters for local schools and businesses. She loved the work she was doing, but was unable to provide a consistent and liveable income for herself and her family. Now she has plans to buy a knitting machine of her own to pursue her own business creating and selling clothing. She hones her skills creating products like “the Becks” while continuing her education through specialised training sessions and developing via one-on-one mentorship. She is just one example of the capable women in our program. Because great products begin with great materials, we start with high-quality yarn that is carefully threaded through a hand-powered knitting machine. Each woman is specially trained and approach these machines with a high level of expertise and skill to ensure a quality product. From start to finish, “the Becks” is entirely and solely created by one individual woman, the woman who signs the label. 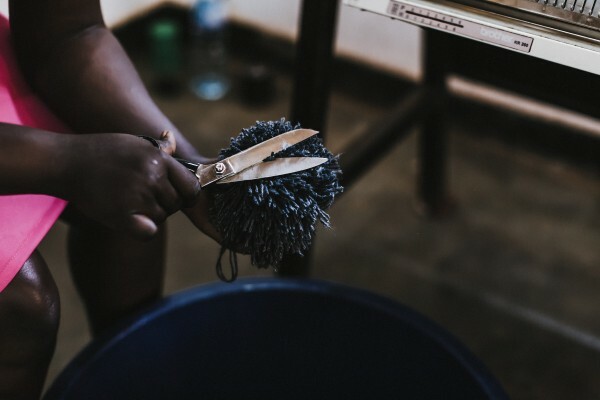 This approach to ethical fashion allows you to connect with the person who made your product. No product is complete without the signature of the woman who made it. This signature is a symbol of pride for her and an indicator of the job, mentorship, and education she is receiving while in our program. She is on a path to empowerment, and you can wear “the Becks” or any KK International item knowing that your purchase facilitates this. Take pride in what you wear. Purchase beautiful Krochet Kids Intl. merchandise of your own—now in the ONE store!